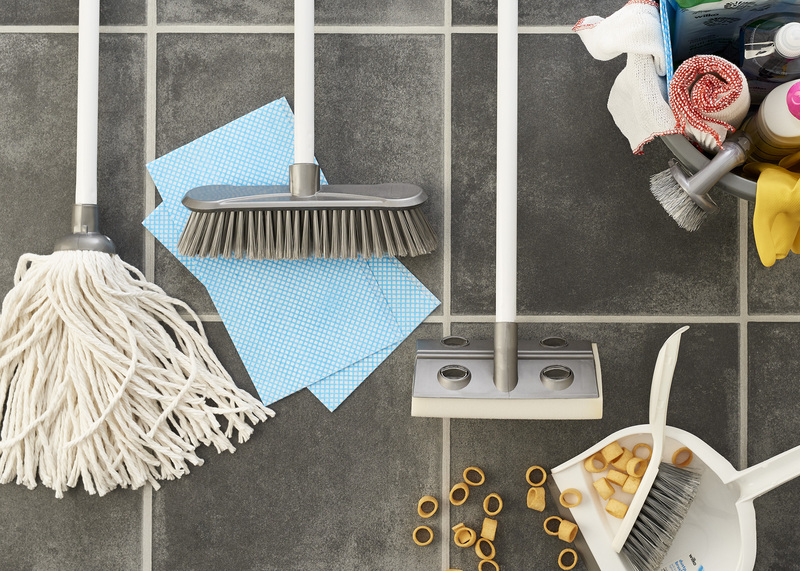 Dread the weekend when you have to battle your way through your cleaning chores? Want to make your home sparkle but without losing too much of your hard-earned spare time? Below, we’ve put together some handy tips that won’t just get your home gleaming but will have you whizzing around the house with your feather duster in glee! Well, one of the ways you’ll be able to manage and maintain an efficient weekly cleaning routine is by creating a to-do list for each individual room. And be sure to start with the most used rooms of the house, e.g. the bathroom and kitchen. That way, these will receive a thorough clean even if you do start to run out of time. Here’s how to clean the house quickly and cost-effectively! Clean the fridge: To keep on top of the cleanliness in your fridge, empty out any old, out-of-date food before cleaning the interior of the fridge and shelves using warm water and a microfibre cloth. Clean small appliances and surfaces: Using warm water and a microfibre cloth, wash down all of your small appliances (microwaves, toasters, kettles, etc.) and any surfaces, as well as the exterior of any large appliances (ovens) before drying off with another dry microfibre cloth. Clean the floors: The cleaning method required will depend on the type of flooring in your kitchen. 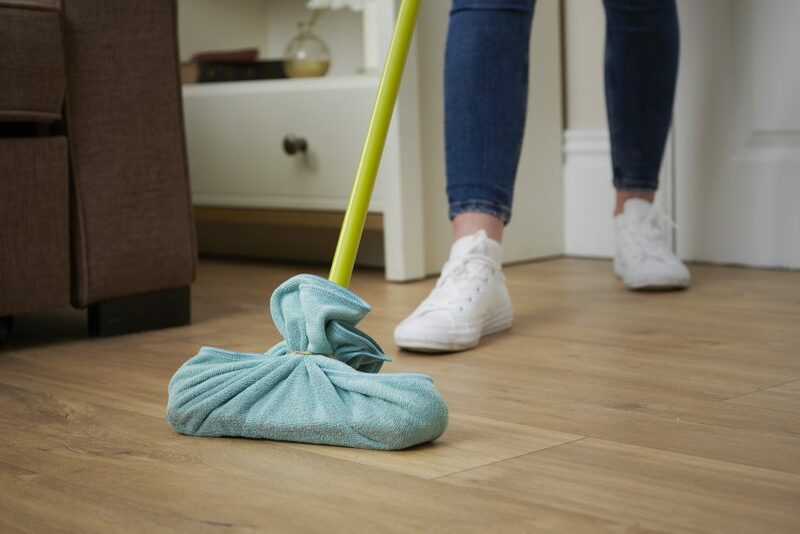 For homes that have waxed or unfinished floors, vacuuming is probably best; for engineered wood floors or ones with a polyurethane finish, vacuum then wash with a dampened, not soaked, mop. For tiled floors, get mopping! Clean bathroom suite: Bicarbonate of soda is a great alternative to anti-bacterial cleaning products and the harsh chemical smells that can leave you with a headache. To clean the sink, shower, bath and any other surface, make a paste using equal parts of water and bicarbonate of soda before scrubbing this in. Leave for 10 minutes before rinsing off with warm water. For the toilet, use a cup of bicarbonate of soda and scrub this in with a toilet brush – once done, just flush! Mirrors and glass: Use a homemade vinegar and water solution or glass cleaner and a microfibre cloth before removing with a squeegee or drying with a lint-free cloth. Wash bath mats and towels: Between baths/showers, try to leave your bath mat hanging over the side of the bath so it can dry fully. Mop the floor: Using an all-purpose cleaner or warm water and a microfibre mop, clean the entire bathroom floor. Dust: Using a microfibre cloth or duster, clean all of the surfaces, including picture frames, light fixtures and ornaments. Vacuum: Get rid of any dust by vacuuming all of the floors and upholstery in these rooms. Recycle: Don’t forget to pop any old, unwanted magazines or newspapers in the recycle bin. Plump cushions: So your cushions retain their shape, turn them round each week so they wear evenly. Get rid of the cobwebs: Use a feather duster, or better yet, a microfibre duster with a telescopic handle to banish cobwebs and dust. 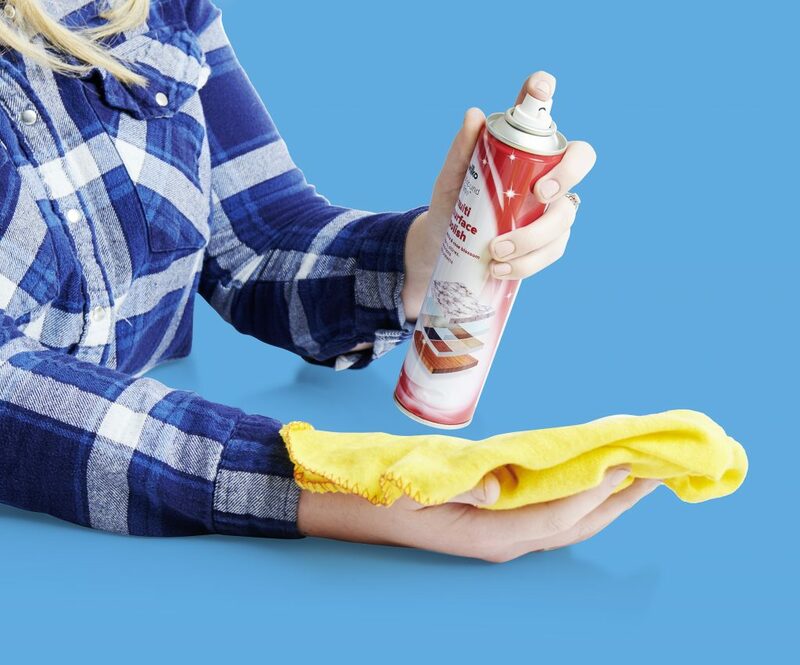 Dust: Using a duster or microfibre cloth, clean down all of the surfaces and any ornaments and pictures. Laundry: Wash your sheets, duvets and pillowcases – while you’re at it, flip your mattress if it needs it (about every 3 months should be fine). Vacuum: Have a whizz around with the vacuum. Got some other handy cleaning tips? We’d love to hear all about them on our Twitter, Instagram or Facebook page!